Service 1st Federal Credit Union has over $376 million in assets and serves over 33,000 members. Founded in 1975 by employees of Geisinger Medical Center in the small town of Danville, Pennsylvania, Service 1st now meets the needs of eligible members from over 1,500 select employee groups and several underserved areas within the footprint of its 11 branch locations. Limited Growth Opportunities: Based in the rural central Pennsylvania town of Danville (population 4,699), Service 1st has few opportunities for organic growth. Management recognized the Credit Union needed to expand its range of convenient remote banking options to flourish and prosper. Lean Operations: Prior to signing with WRG, Service 1st had assets of $125 million and it was essential to squeeze the most it could out of every dollar. That meant providing its members with the best available remote banking services in the most efficient, cost-effective way possible. Underachieving Digital Banking System: Service 1st was shackled to a limited, dated home banking system that no longer met its members’ evolving needs. To match its members’ high expectations, the Credit Union needed to upgrade to the best digital banking solution available in the market. Service 1st considered several leading digital banking providers before selecting WRG’s Symmetry eBanking solution. 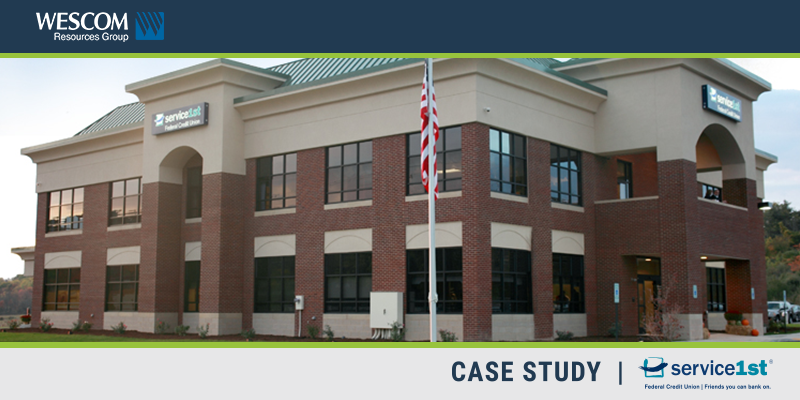 The Credit Union chose WRG based on the CUSO’s outstanding service, exceptional value, and compelling product design. Today, WRG hosts Service 1st ‘s comprehensive suite of mobile and online banking services, including integrated remote deposit capture, bill pay, and person-to-person (P2P) payments. Outstanding Growth: Since beginning its partnership with WRG, Service 1st has tripled its asset size and nearly doubled its membership. Service 1st is now the largest credit union in Pennsylvania not headquartered in a metropolitan area. Improved Operational Efficiency: With WRG, Service 1st has streamlined its operations and provided its members with the leading online and mobile banking solution at an outstanding value. Exceptional Member Experiences: Since deploying WRG’s mobile banking solution, members have touted the improvement in convenience, ease of use, and overall experience. Increased Member Usage: Since implementing the WRG mobile banking solution, member adoption and usage has grown tremendously. Today, the Credit Union has over 10,000 active mobile banking users, and 18,800 registered eStatement users. Managed, Efficient Growth: With the help of WRG’s easy-to-use services and management tools, Service 1st has grown efficiently while maintaining lower expense ratios and without increasing IT resources. A True Partnership: For Service 1st, WRG is not just another vendor. WRG’s account managers and customer success representatives are focused on fostering long-term relationships based on meeting their clients’ needs and expectations.